David Campbell researches the role of nonlinear excitations in novel states of matter. Currently, he is a Professor of Physics, Electrical and Computer Engineering at Boston University. His other institutional affiliations include the Institute for Advanced Study, University of Illinois at Urbana-Champaign, and Los Alamos National Laboratory. July 23, 1944Birth, Long Beach (Calif.). 1966Obtained BA, Harvard University, Cambridge (Mass.). 1970Obtained PhD in Theoretical Physics and Applied Mathematics, Cambridge University, Cambridge (England). 1970 – 1972Fellow, Center for Advanced Study, University of Illinois, Urbana-Champaign, Champaign (Ill.). 1972 – 1974Member, Institute for Advanced Study. 1974 – 1992Oppenheimer Fellow (1974-1977) and Staff Member, Theoretical Division (1977-1992), Los Alamos National Laboratory, Los Alamos (N.M.). 1984 – 1985Visiting Professor, University of Dijon (Université de Dijon). 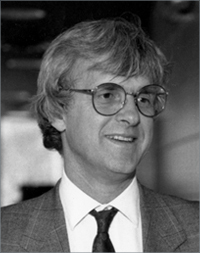 1987 – 1992Director, Center for Nonlinear Studies, Los Alamos National Laboratory, Los Alamos (N.M.). 1988Fellow, American Association for the Advancement of Science. 1990 – 1992Adjunct Professor of Physics, University of New Mexico. 1991 – presentEditor-in-Chief, Chaos, AIP Publishing. 1992 – 2000Professor of Physics (1992-2000), and Chair, Department of Physics (1992-2000), University of Illinois, Urbana-Champaign, Champaign (Ill.). 1998 – 1999Ulam Fellow, Los Alamos National Laboratory. 2000 – presentProfessor of Physics, Electrical and Computer Engineering (2000-present), Dean, College of Engineering (2000-2005), Provost ad interim (2004-2005), and Provost (2005-2011), Boston University, Boston (Mass.). 2010Awarded Julius Edgar Lilienfeld Prize, American Physical Society. Both employed at University of Illinois, Urbana-Champaign and Los Alamos National Laboratory. Both employed at Boston University. Professor of Physics, Electrical and Computer Engineering; Dean, College of Engineering; Provost ad interim; and Provost. Ulam Fellow; Staff Member, Theoretical Division; and Director, Center for Nonlinear Studies. Oppenheimer Fellow and Staff Member, Theoretical Division. Professor of Physics and Head, Department of Physics. Received 2010 Julius Edgar Lilienfeld Prize. University of Illinois at Urbana-Champaign Physics Department reading files, 1925-2006. University of Illinois at Urbana-Champaign Physics Department subject file, 1925-2006. Chaos/xaoc : Soviet-American perspectives on nonlinear science / edited by David K. Campbell. Disorder and nonlinearity : proceedings of the workshop, J.R. Oppenheimer Study Center, Los Alamos, New Mexico, 4-6 May, 1988 / editors, A.R. Bishop, D.K. Campbell, and S. Pnevmatikos.